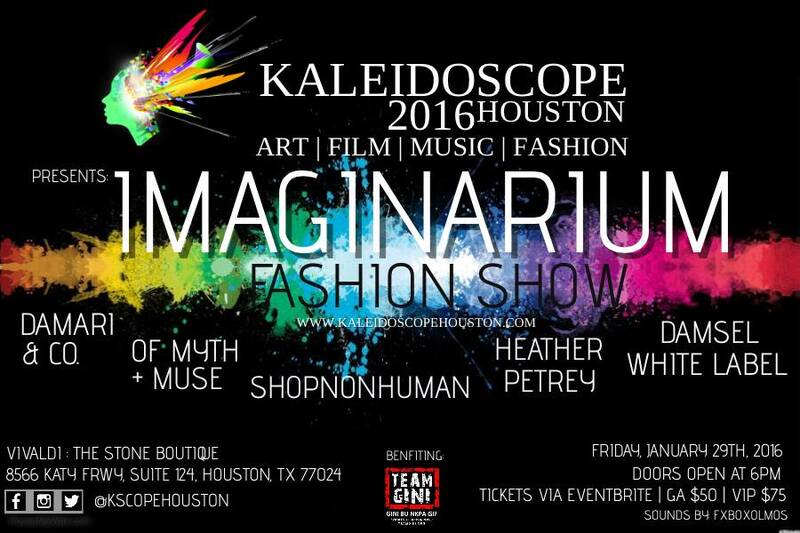 KALEIDOSCOPE HOUSTON 2016 is a 3-day Fashion, Art, Music and Film experience presented by a creative collective of partners. 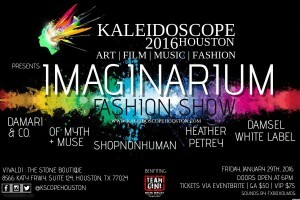 The inspiration for creating Kaleidoscope is simple; bring the creative collective that is Houston and surrounding cities, then connect their talents to produce a show that is themed, multi-faceted, and within the city of Houston which will in turn help to boast Houston’s creative economy. 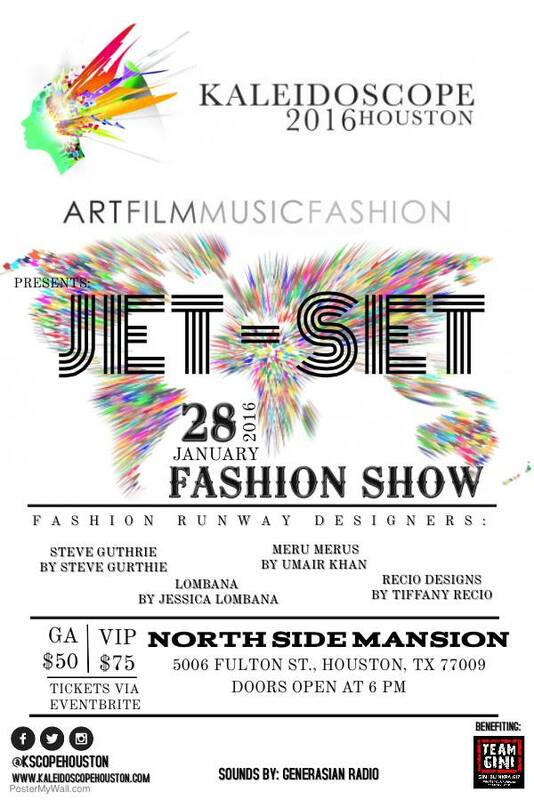 This inspiration led to the creation of Kaleidoscope which highlights and enhances the visibility of Texas established and emerging talent in the Fashion, Art, Music and Film industries. 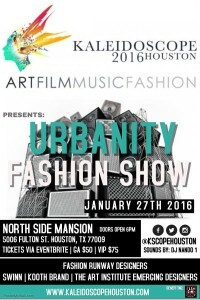 As one of the nation’s fastest growing cities, Houston is the perfect blend of ambassador for arts & culture. Texas has emerged as an innovative and progressive cultural kaleidoscope. 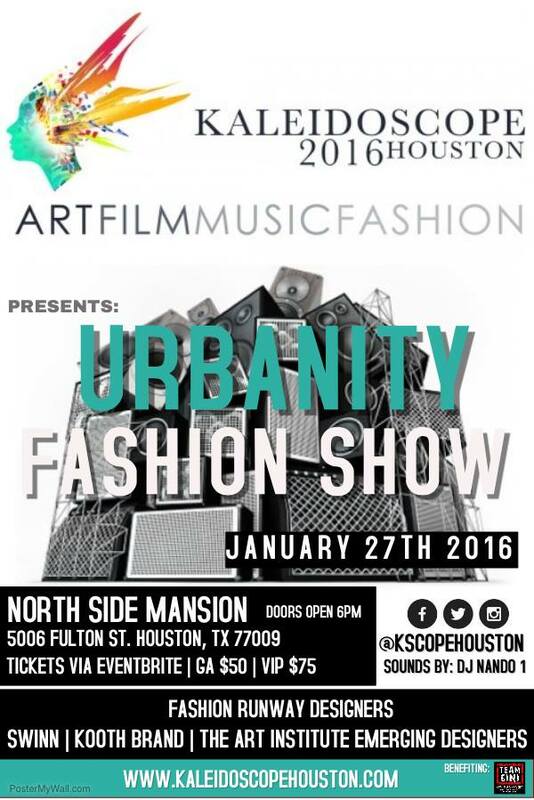 Kaleidoscope focuses on the expansion of this culture by spotlighting the economic increase of fashion design, clothing merchandising, music influence, visual and performing art, photographic and cinematic film, and a variety of other art and entertainment. Texas boasts a community of art and cultural assets that create a dynamic economic development in a multitude of national and international markets. Kaleidoscope connects the arts and culture sectors by bridging local firms to the community of artists, musicians, designers, performers, and film industry. 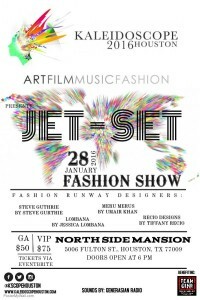 For additional information on schedule, designers, etc… please go to Kaleidoscope.com.